In step with spring’s early arrival, I find myself gravitating towards Sauvignon Blanc. It’s not everybody’s cup of tea, often likened to cat’s pee in its natural, sometimes “wild” (sauvage) pungency. But when not over-cropped, over-oaked or over-ripe, Sauvignon Blanc’s unmistakable aromatics, racy acidity and raucous fruit flavors are refreshing, fun and redolent of spring. On the nose and palate you can get herbs, grass, asparagus and stones, along with a vibrant arc of fruit — from green apples and gooseberries, to grapefruit and guava. If you are a Sauvignon Blanc fan, the scenario is rosy: good versions come from all corners of the globe, in various styles and price points, from the Loire Valley in France, to New Zealand, South Africa and Chile. But for time-tested excellence — and value — closer to home, Sauvignon Blanc from Dry Creek Vineyard (DCV), located in Dry Creek Valley, Sonoma County, CA, is a can’t-miss proposition. 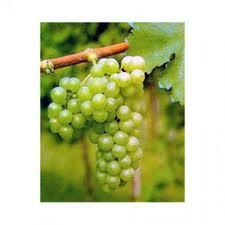 Sauvignon Blanc has been a Dry Creek Vineyard specialty from the very start. Against all advice, founder David Stare planted the very first Sauvignon Blanc vines in Dry Creek Valley back in the early 1970s…simply because he liked the grape, especially in a crisp, grassy Loire Valley style. Today, Dry Creek Vineyard produces many other varieties and blends, but it’s still family-owned and run (by Don and Kim Stare Wallace), and Sauvignon Blanc is still a calling card, in particular, the highly regarded, single vineyard Estate Sauvignon Blanc DCV3. Made from Stare’s original Sauvignon Blanc parcel, DCV3 has been consistently excellent over the years, vindicating his decision. And the current 2009 release ($25) shows its pedigree: focused tropical fruit and orange blossom aromas precede layered flavors of grapefruit and tangerine and a tinge of herbs and minerality, with a clean, lingering finish. This is a white that would benefit from some air (and some cellar time), as it opens up beautifully, morphing into more tropical flavors, like pineapple. Quite a wine, but not easy to find due to its small production…and many admirers. Another recent, more widely available release, is the 2010 Dry Creek Valley Sauvignon Blanc ($16), which offers exceptional quality for a modest price. With fragrant notes of guava and clementine peel, nice medium body, pomelo and tangerine fruit and mouth-watering acidity, this a compelling package from a cooler-than-normal vintage. And I applaud the user-friendly screw top, because this is one to keep handy in the fridge! You shouldn’t limit yourself to Dry Creek Vineyard’s Sauvignon Blancs — try some of their Zinfandels and other varietals and blends, too —but they are stellar Californian and Dry Creek Valley expressions of the grape, neither as herbal and austere as Loire types, nor as wildly fruity as some New Zealand examples. Their citrus grove flavors, lively textures and consistent excellence make Dry Creek Valley Sauvignon Blanc a standout category in its own right. This entry was posted in Wine and tagged DCV3, Don and Kim Wallace, Dry Creek Valley, Dry Creek Vineyard, Sauvignon Blanc. Bookmark the permalink.